I love watching the Grackles! 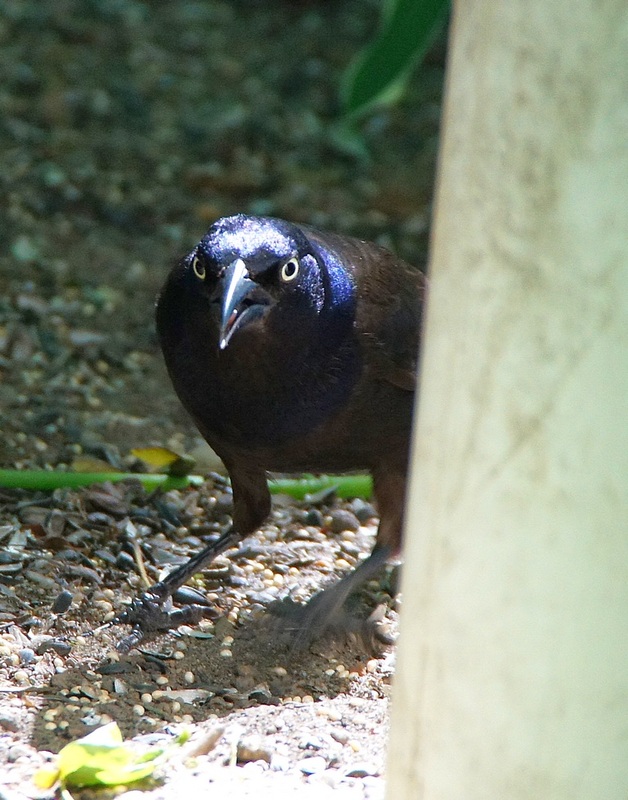 Grackles are beautiful in their own way. Great shot, Misty. And those grackles are incredible smart too - they figured out how to lift the door and let it fall to dislodge fish food (aka dog food kibbles) from the dispenser. It was fun to watch! Great eyes on these guys!! Boom & Gary of the Vermilon River, Canada. He just looks like a bully! Great picture. They may not have the best voice - but they do seem to have great feathers!